When Letters to the Lost by Brigid Kemmerer arrived on my doorstep one afternoon, I was intrigued. After reading up on the book, I was even more intrigued, and I decided to add it to my TBR, to be read as soon as possible. I'm so glad I did this. I'm so glad I read the book. I really, really enjoyed it! I read Letters to the Lost in just two days time, and I was absolutely hooked to the story. The storyline was definitely engrossing, and relatable as well. I feel like I've read a lot of books that have dealt with death lately, and they all totally take on different approaches to them. I love this. These are the books that readers will read and be able to relate to. And it's not just about death. It's also about finding yourself and learning to take your own path, and knowing that there is always hope, even when things feel completely hopeless. 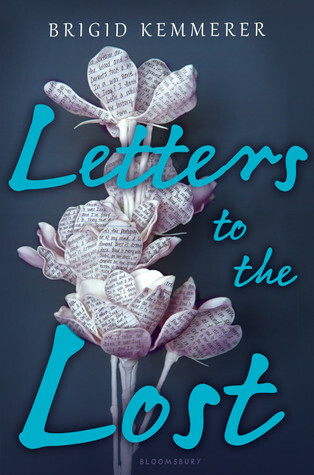 Overall; Letters to the Lost is the first book I've read by Brigid Kemmerer, but it definitely will not be my last! I love that the story completely grabbed my attention and wouldn't let go. I need more books like this in my life. Do check it out! I totally had a similar takeaway as you, and I am super pumped for Rev's book. Whoo hoo! Ooh yay - a companion novel! I haven't read this, but I really enjoyed her Elemental series because of the character development, so I'm excited to pick this up!